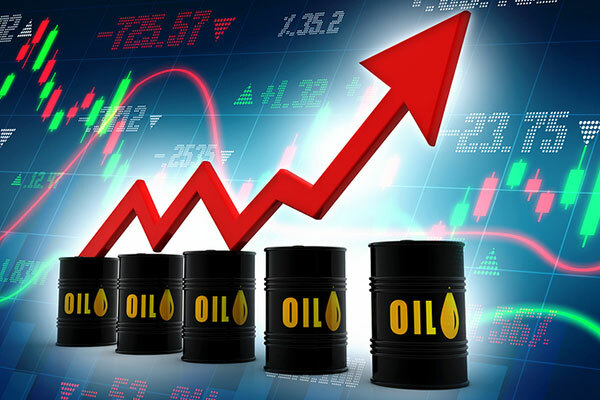 Brent is expected to peak at $95 per barrel (/bbl) by the end of Q2 2019, said the Bank of America Merrill Lynch (BofAML), citing a forecast by Francisco Blanch and team and analysing the impact on global growth of an even larger and more sustained oil spike. The analysis specifically discusses the factors that could drive oil prices to $100/bbl, and hash out the winners and losers. • The Iran oil sanctions, shale bottlenecks, the collapse of Venezuela and demand growth pose upside risk to oil prices. • If oil remains around $100/bbl next year, growth in the Euro area, the UK and Japan would slow by a few tenths. • But the US, Australia and Brazil have ramped up energy production. This will likely cushion the blow to global growth. The most important near-term driver of oil prices is the supply shock coming out of Iran because of the impending US sanctions. Iran exported more than 2.1 million barrels per day (b/d) last year. The US administration’s stated goal is to bring that number down to zero, BofAML said in the research. Although the sanctions are unilateral, they apply to all firms that do business in the US, including shipping and insurance companies. This gives the US leverage to force other countries to cut their imports of Iranian oil. China and India together account for nearly 60 per cent of Iranian oil exports this year. While Indian refiners got waivers from the previous sanctions, it appears that this time they will comply. Refiners from Europe, Korea, Japan and India have already cut their purchases from Iran, and exports have fallen by 900 million b/d in the last five months. This leaves China with substantial room to increase its purchases from Iran, possibly at below-market prices. However, doing so would further escalate China’s trade and broader geopolitical conflict with the US administration. Therefore our colleagues in commodities strategy believe China will take a middle course, maintaining its current imports from Iran, defying the sanctions, but not increasing imports. News reports suggest that China is increasing its crude oil imports from West Africa to compensate for import cuts from the US and possibly Iran. The collapse of the Venezuelan economy is causing further supply disruption. Production in Venezuela has fallen by more than a third from its 2016 level and, barring a brief interlude in 2002, is at its lowest level since the 1940s. Meanwhile US shale producers are hitting infrastructure and labour supply bottlenecks. And with the global economy growing slightly above trend, demand growth is also robust. All of these factors limit the ability of the other Opec members (notably Saudi Arabia) and Russia to curtail the rise in oil prices by increasing production. Indeed, suppliers are already having trouble keeping up with demand and OECD inventories have been falling steadily, the analysis said.